Early one Monday morning in December of last year, we arrived tired and excited at West High School (all names are pseudonyms) wearing T-shirts and carrying a banner—all with The Beyond Bullying Project logo. 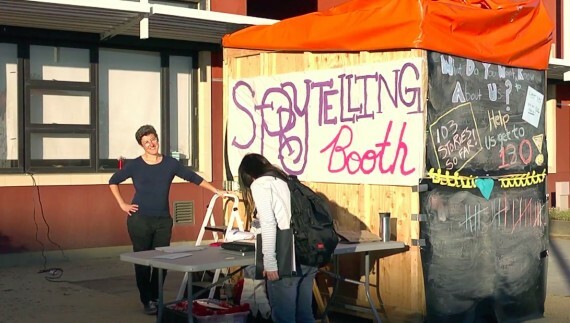 The storytelling booth, a wooden box measuring 7 by 3 feet, had been installed the previous week, complete with recording equipment, lighting, foam to dampen the sound and ensure privacy, and a folding chair. Student advisors to the project had decorated the booth with construction paper rainbows, feather boas, and posters. “Tell Your Story” flyers hung throughout the hallways. For the next two weeks, our team of researchers and students was stationed at a table next to the booth, handing out chocolate, granola bars, raffle tickets, and business cards that encouraged people to “Follow Us” on Facebook, Instagram, and Twitter. As students, teachers, and staff walked by, we invited them to enter the booth and tell a story about lesbian, gay, bisexual, transgender, and queer (LGBTQ) sexuality: they were invited to talk about themselves, someone else, a rumor, a joke, a question, or a political opinion; it could feel big and important or silly, ordinary, or even boring; it could be true, we said, but it did not have to be. Any story about LGBTQ sexuality was welcome, and no one from the school would hear their story or know what story they told. We were intentionally non-directive. “Any story,” we cajoled. The invitations left space for students and adults to think, reflect, enter the booth individually or in groups, and, often, return over and over again. 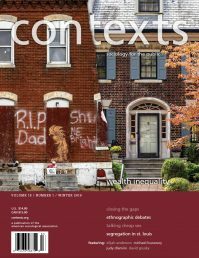 Also check out the Contexts Podcast interview with Laura Mamo and Jessica Fields. The first morning, Evan, our main school contact, was chatting with us when Randee, a queer girl in her first year at West High, approached the booth—one of only a few students who had spoken to us. Evan had been working closely with us from the start of our project. He often described himself as gay and worked closely with queer students. Randee described herself as queer. She was of mixed race, round-bodied, with acne, long brown hair, braces, and an easy smile. On this day, she wore long, slouched shorts and sneakers. The school campus was quiet as most students were in class, so we asked where Randee was supposed to be. The two laughed as Evan pointed to Randee. “This,” he said, “is what truancy looks like.” Randee smiled and explained that her teacher had kicked her out of class, so she had nowhere to be. Randee wanted to tell a story about losing friends after she came out in eighth grade. Initially, Randee asked one of the team members to go into the booth with her—she was unsure she could tell a story without prompting—but after a few minutes chatting, Randee decided to tell the story on her own. When she exited a few minutes later, Randee seemed quite pleased with herself. Later that morning, Randee returned. She did not have a story to tell this time, but she preferred hanging out at the booth to attending geometry class. Randee spent a lot of time around the storytelling booth during our two weeks at West High. She encouraged friends to tell their stories, ate her lunch with us, and played basketball one afternoon with one of the research assistants. But not everyone was happy to see us. We encountered students, teachers, and administrators who kept their distance from the booth, their eyes down as they walked by, and ignored the team’s coaxing to get involved. The booth changed the patterned uses of school spaces. Inside the booth, students, teachers, and staff told their stories about LGBTQ crushes, families, friendships, break-ups, coming out, ambivalence, bravery, and aspirations that go well beyond the framework of bullying. Outside the booth, students, teachers, and staff figured out where they stood—literally and figuratively—in relation to a booth devoted to LGBTQ sexuality. The booth where high school students shared their stories of LGBTQ sexuality. Evan, Randee, and The Beyond Bullying Project team live in a surprising and welcome moment—one in which people generally agree that anti-gay bullying constitutes a social problem to which policies, communities, and schools must respond. Increasingly, pedagogy, policy-making, and public conversations about LGBTQ youth in the United States focus— almost exclusively—on preventing anti-LGBTQ bullying. Schools aim to minimize the risk of depression and suicide among LGBTQ youth and punish those who fail to practice sexual tolerance. While The Beyond Bullying Project advocates for the right of LGBTQ students, teachers, and families to live free from harassment in schools, we also worry that framing conversations about LGBTQ sexuality as a problem of bullying narrowly links LGBTQ sexuality to risk and danger. Within the terms of this logic, stories of LGBTQ sexuality can reliably enter schools only under the cover of risk prevention and health campaigns—to be gay in school, this story goes, is to be, at best, in need of tolerance and, at worst, at risk of anti-gay violence, mental illness, and suicide. But for Randee, LGBTQ sexuality means more than that in her school day: it is a source of pleasure in a boring day, a way to connect with adults, and something she speaks freely about—even if it has meant losing some friends. LGBTQ sexuality and gender exist in all parts of the school day, intersecting with other social identities, and leading to many ends. LGBTQ sexuality moves through the school, is subject to routine policing, calls out for recognition, offers students a way to interrupt their teachers’ lessons, and bumps up against not only concerns about bullying and harassment but also ideas about race, class, gender, and religion. Too often, the dominance of discourses of bullying threatened to obscure these scenes of sexuality. For example, while principals, teachers, administrators, and students have been enthusiastic about The Beyond Bullying Project, they have also had difficulty getting “beyond bullying.” Early on, a school administrator who spent hours helping us bring the Beyond Bullying Project to his high school referred to the storytelling booth as a “kiss and tell” booth and said he hoped we would present our findings during the school’s anti-bullying week. In a similar vein, one teacher favored the project because it supported LGBTQ students and discouraged self-harm and suicide. Students acting as project advisors were excited to tell their stories, but worried their peers might avoid the booth for fear of being labeled and harassed as gay. These interactions point not only to how difficult it is to get beyond bullying to stories of discomfort, hope, and ambivalence surrounding LGBTQ sexuality and gender, but also to how particular ways of knowing about LGBTQ sexuality have become institutionalized in schools. 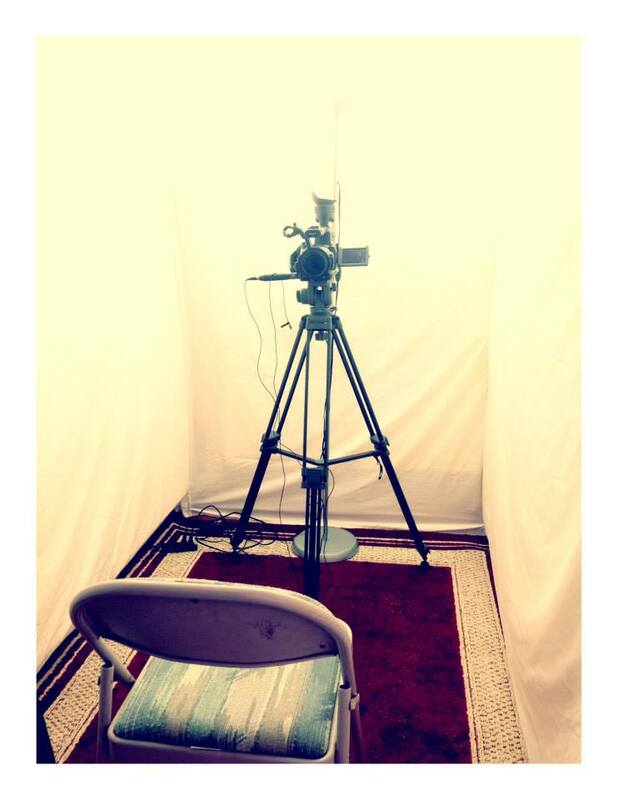 The storytelling booth affords participants the chance to think, reflect, and speak out about bullying. When we designed The Beyond Bullying Project, we anticipated neither all the obstacles we would face nor the ways those obstacles would come to re-shape the project. The obstacles were varied— from getting approval from three universities and three public school systems to conduct the research to finding ways to construct booths in three high schools, from designing efficient consent processes to helping nervous teachers talk about LGBTQ sexuality with their students and colleagues. These obstacles demanded methodological shifts, but they also opened us up to pedagogical questions. Ultimately, a research project became an occasion for teachers and students to rethink experiences of teaching and learning. The project, as a storytelling installation and a series of events, provided opportunities for students and teachers to question and challenge popular or commonsense ideas about schools. In creating a two-week long storytelling event, we disrupted business as usual. In soliciting and sharing stories beyond victimization and bullying, we offered times and spaces for something “other” to occur. The Beyond Bullying Project aims to capture these times, spaces, scenes, and movements and to provoke new ways of understanding LGBTQ sexualities in schools. In 2013-14, across three racially diverse high schools (one each in San Francisco, Minneapolis, and New York City), we collected over 400 stories ranging in length from one to thirty minutes about friendship, family, love, culture and the ordinary trials of living your life in school. As researchers, we now listen to the stories and the ways they push against the equation of LGBTQ sexuality and bullying. Our initial listening to the collected stories—from participants who identify as straight and as LGBTQ—suggests they offer ordinary and extraordinary narratives of LGBTQ sexuality. Young people talk about how they want to support their gay friends even though those once familiar friendships now feel strange. Others talk about feeling bullied and wonder if it was because of their perceived race, gender, or sexuality. Some discuss how their own experiences of victimization have helped them understand how it might feel to be different in high school; some talk about their own or another’s homophobia and how they make sense of the intolerance. Other young people describe navigating relationships with their parents and their cultural and religious communities, charting the intersections of sexuality, race, and religion. Students talk about reading a gay novel, admiring a gay athlete, or watching TV shows with LGBTQ characters. Many people describe having lesbian and gay parents, uncles, aunts, neighbors, cousins, and grandmothers. Some youth tentatively question their own sexual or gender identities, risking the use of a term—“bisexual,” for instance—perhaps for the first time. Others buoyantly claim their right to be genderqueer or gay or trans. Teachers and principals discuss their relationships with LGBTQ students, remember their own experiences in high school, or admit confusion about how to introduce LGBTQ issues into the curriculum. What surprises us across these 400 narratives is how multiple and varied these stories are; every storyteller has a relationship to LGBTQ sexualities and communities that stretches far beyond the limited rhetoric of bullying. The space of the booth allows students, teachers, and staff to tell stories of experiences or opinions they may not have voiced before. The stories we have heard tell us not only that schools are full of stories about LGBTQ sexuality that go beyond bullying, but also that these stories circulate outside of the official discourses of school curriculum, programs, and policies. When you make room for conversations about LGBTQ sexuality beyond bullying, you also create other pedagogical spaces that expand the intimate possibilities available in schools. Beyond anti-bullying interventions and the language of risk, vulnerability, and tolerance lay struggles for belonging and recognition. Drawing on the work of sociologist Evelyn Nakano Glenn, our team understands young people’s membership and participation in school communities—indeed, in all communities—as “a matter of belonging, which requires recognition by other members of the community.” Recognition occurs through local, national, and life histories, in policy debates and school cultures, and in the negotiation of student statuses and hierarchies. In Beyond Bullying, we move away from LGBTQ sexualities and youth as problems for education and health and toward recognizing LGBTQ youth like Randee—and LGBTQ sexuality more broadly—as vital to the cultures and practices of school communities. To achieve meaningful recognition, educators and administrators must notice the many ways LGBTQ sexuality circulates through schools—as a set of identities, desires, and behaviors; as a site of curiosity and connection as well as harassment; as a future left unconsidered and unimagined; and as a concern taken up, neglected, celebrated, and demonized by adults, peers, families, and communities in students’ and teachers’ lives. Teachers and students will have to tell and hear the ordinary narratives of LGBTQ lives—of, for example, families, friendships, breakups, and aspirations—as part of what can count and be valued as human. They will also have to recognize that these narratives vary and shift as they travel across regional, racial, gender, socioeconomic, and other boundaries. Our time at West High suggests that telling and listening to these stories will be challenging and generative. This is a pedagogical challenge—what innovations are necessary for schools to welcome stories that move beyond bullying and imagine other possibilities of LGBTQ sexuality and gender and LGBTQ people to belong in schools? How will teachers need to rethink Randee’s truancy, recognize her complicated friendships, and welcome her multi-faceted queerness? The Beyond Bullying Project helps high schools imagine a broader range of sexual and gender possibilities. The Beyond Bullying Project aims to provoke new ways of understanding, allowing, and imagining sexualities to flourish in our schools. We do not yet know if the stories collected will offer radical imaginaries of LGBTQ sexualities in schools. But so far, our experience in the schools tells us that strange and unexpected things can happen when a school devotes two weeks and a hallway, auditorium, or courtyard to an LGBTQ storytelling installation. Teachers can confront the limits of their own imaginations, students can dream of dancing on stage, pizza parties can shift into conversations about the meanings of “bisexual” for young women, and a school’s outsiders, students like Randee, can find a new, if temporary, place to hang out during lunch. 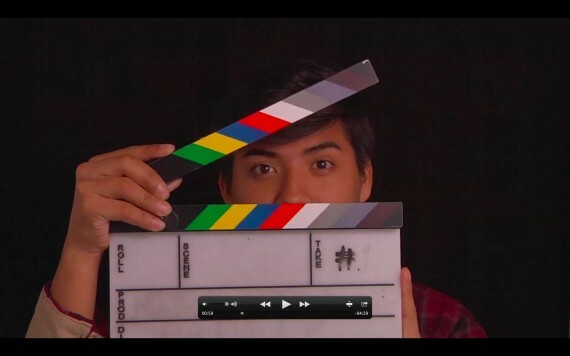 With this research project, we have collected data on how diverse school communities receive conversations about LGBTQ sexualities, but we have also witnessed how schools can be transformed, however fleetingly, by the arrival of a giant wooden box and a commitment to talking and thinking about LGBTQ sexualities and lives. The preliminary lessons we are taking from this project are that sometimes LGBTQ sexualities and lives link with formal school curriculum, but not always; sometimes school climates continue to obfuscate the language and existence of queerness in their halls; and, sometimes, making a space for conversations about LGBTQ sexuality opens up ancillary space for all sorts of other things to occur. These methodologies reflect our belief that stories, both told and heard, have the potential to create new and expanded possibilities for LGBTQ and straight youth alike. Social science research tells us that stories can do things that straightforward instruction and lessons cannot accomplish. Stories can help extend our sense of LGBTQ lives across generations, place, race, religion and gender categories, to recognize and include diverse experiences and communities. And, perhaps most significant for our study of schools, and as sociologist Ken Plummer informs us, “Stories can be heard when a community has been fattened up, rendered ripe and willing to hear such stories…. they gain momentum from an interpretive community of support.” Schools can aspire to be such communities. Jessica Fields is a sociologist at San Francisco State University. Laura Mamo is a professor in Health Education at San Francisco State University. Jen Gilbert is a professor of education at York University. Nancy Lesko is a professor of education at Columbia University.